Guide to attractions on the way to the Adriatic Sea - Explore Croatia Become a Patron! Croatian coast is a real Mecca for summer holidays. Crystalline clear, warm sea, ancient stone towns, Mediterranean fragrances attract many. But, there are so many other places to visit on your way. Driving a car or taking a bus, you can stop for half an hour, half a day or overnight. Here, we give you our choice of attractions on the way to the Adriatic Sea. Croatia is a land of beautiful nature, and this is the most exciting thing here. Lovely rivers, caves, some hiking spots, along with cultural places and some adventure can give you lots of fun. Here, we will consider the travel from Zagreb to two directions. The first direction is Kvarner and Istria region. The second is Dalmatia. Basically, we will follow the highway fork which branches to local roads that will lead you to the destinations. Additionally, we will introduce two parallel roads: one to goes to Rijeka and another road to Dalmatia that goes through Plitvice Lakes. 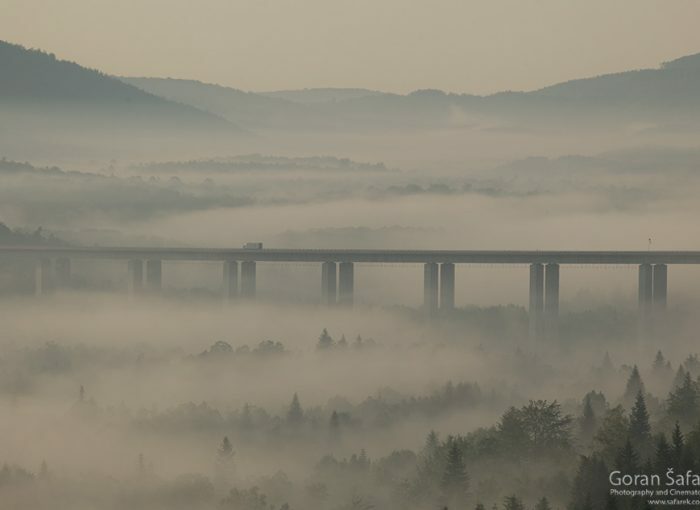 The A1 highway (motorway; Croatian: Autocesta A1) is the longest motorway in Croatia, spanning 476.3 kilometers (296.0 mi). As it connects Zagreb, the nation’s capital, to Split, the second largest city in the country and the largest city in Dalmatia, the motorway represents a major north-south transportation corridor in Croatia and a significant part of the Adriatic–Ionian motorway. Near Bosiljevo 2 interchange, The A6 starts is branching off from the A1 highway and proceeds west to Gorski kotar, bypassing Delnice to Rijeka. Excellent fast rod than bypass Rijeka toward Istria, through Učka tunnel. On the other side, Istrian Epsilon starts, at Kanafanar one fork going to Umag, other to Pula. This is the first, shorter wing of the way to the sea. After the plains around Zagreb, after Karlovac you start climbing the hills, toward mountainous Gorski kotar. This is a green heart o Croatia, fresh and forested. Excellent hiking, rivers, and adventure await here. The Mrežnica is one of the most beautiful rivers in Croatia. Near Duga Resa is a campsite and swimming site near an old watermill. Even if you won’t stay overnight, there is a restaurant for a drink or a lunch. Read more about this location and the Mrežnica river in general. Pull off in Karkovac and head to Belavići village through Duga Resa. Is a small river near Vrbovsko town. It offers lovely hiking, connecting the lake source, smooth flow, and wild rapids and waterfalls. After a several hours walk, you can at quench the thirst and hunger in a restaurant at the confluence of The Kamačnik and the Dobra River. Read more about Kamačnik. Pull off in Vrbovsko exit and go to the town and follow the signs. Zeleni vir is an excursion site near Skrad Town, on the way to Delnice. It is the source of the small river called Curak. It springs at the bottom of the giant waterfall. 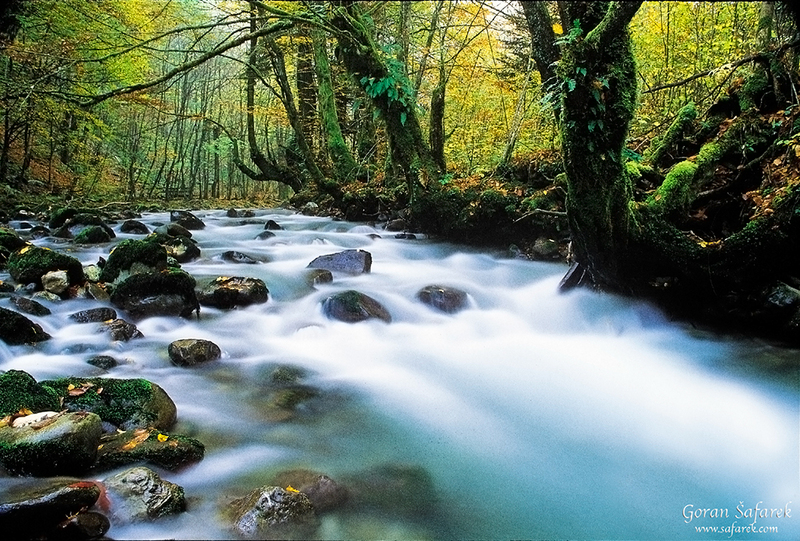 Waters from the Zeleni vir (Green Source) is straightened by the torrent called Vražji prolaz (The Devil’s Passage). 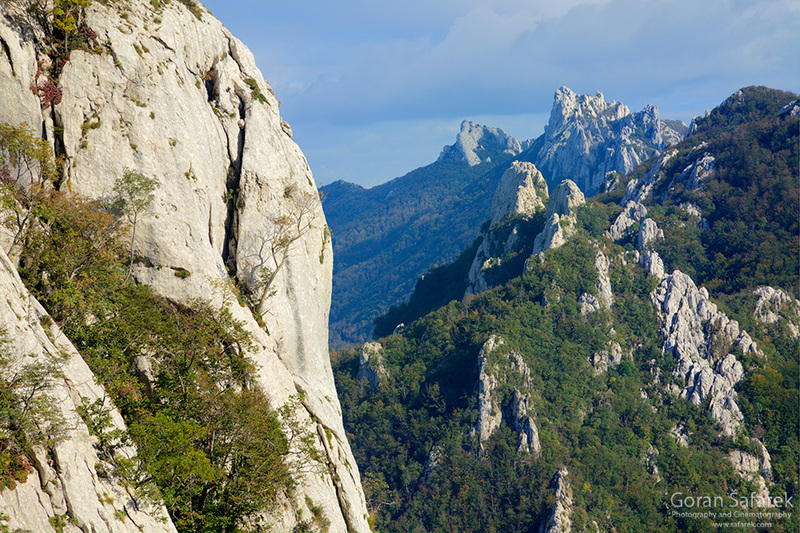 The name implies how wild the torrent is – a gorge in the limestone rock, with monolith cliffs 200 meter high. Thanks to the trail and bridges, you can climb to the too, where a small cave is. 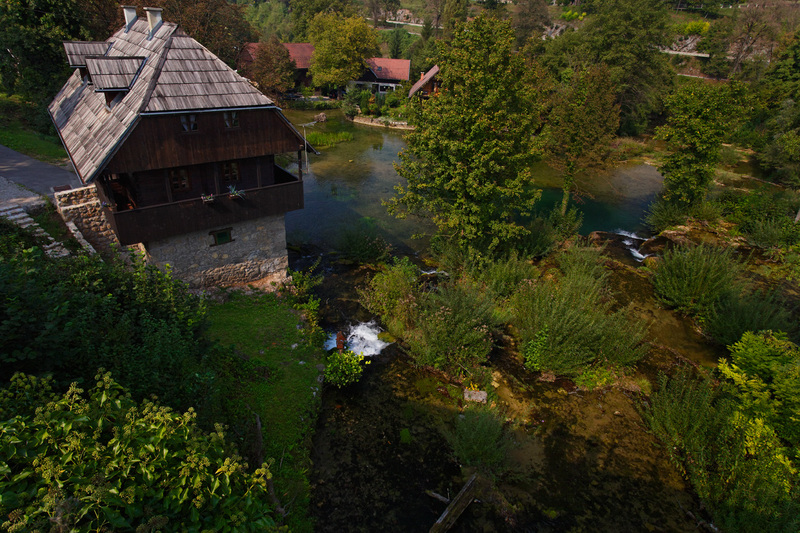 Where Zeleni vir and Vražji prolaz meet is a small hydropower plant and a mountain hut. You can reach this site by car through very steep forest road or hiking from the train station in Skrad. 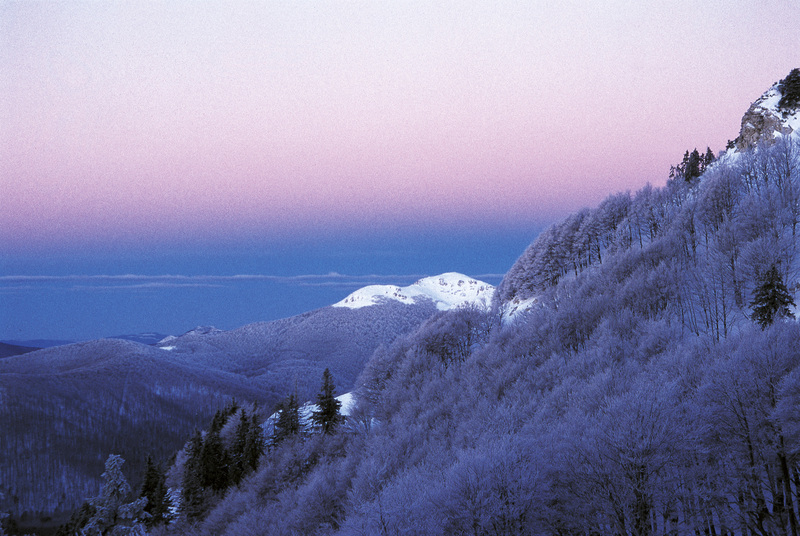 Risnjak is a national park and one of the highest mountains in Croatia, home to the bear, wolf, and lynx. Even though the park is big, you can discover some of the sweet spots on the way to Kvarner and Istra. One option is to drive to Crni Lug village above Delnice where is the park entrance and an education trail loop. 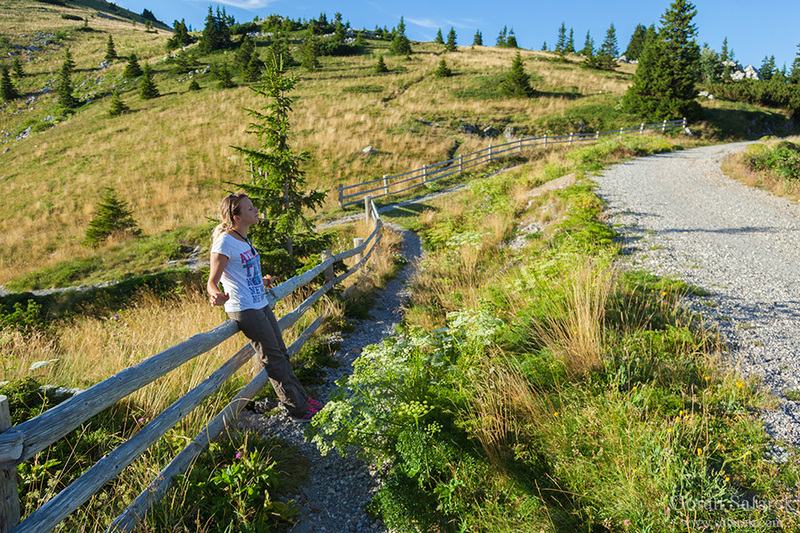 Or, you can drive to the other end of the park (Gornje Jelenje junction) and climb the highest peak. From the parking place to the summit, you have about two hours of comfortable walking. There is a mountain hut just below the summit, where you can have a lunch or just a drink. For more exploration, it Is possible to stay overnight. The road from Delnice to Rijeka goes through the dense forest. It is possible to discover it in Golubinjak, a lovely excursion sites, and a protected forest park, just before the town Lokve. 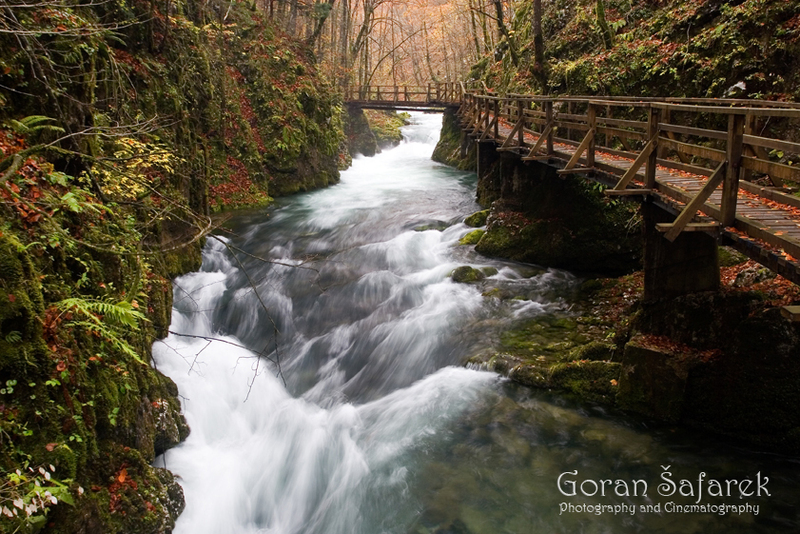 In Golulbinjak, visitors can enjoy its natural beauty, exploring it by a forest trail “Queen of Forests”. Another, 11 km long “Cave Trail” is delivering even more wilderness. Besides activities, Golubinjak offers catering and rental space for grilling and a children’s playground. Ticket price is 17kn, groups of 20+ people have tourist guide included in the price. Lokve is a village on the road from Delnice to Rijeka. It hosts some interesing places, like a Lokvarsko lake. You can find a unique Frog Museum, one of the most innovative museums in Gorski kotar. Don’t miss it in springtime when Frog Catchers’ Night takes place. One part of the museum is dedicated to the vivarium with live frogs that live in this environment. The second unit is educational since it presents the frog’s entire development, from spawn to adult frogs. Nearby is the cave with 6 floors, of which the first four are open to visitors. The length of the cave discovered so far is 1179 meters and depth 275 meters. The temperature inside the cave ranges from 7 to 9 degrees. Pazin is a lovely town in middle Istria, right on the Istrian Epsilon. Below the historic center is a giant abyss. 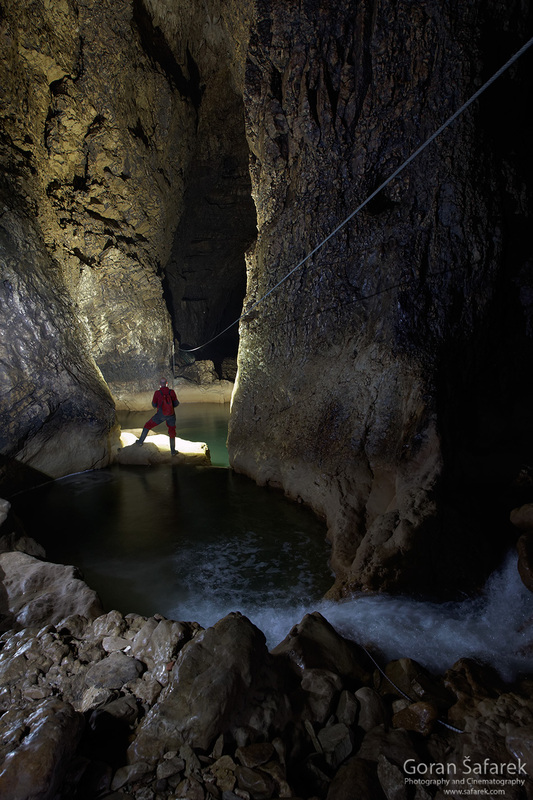 Pazinčica, a small river flows to the giant sink, to be engulfed by the dark cave opening. A local speleological team can bring you safely to the dark underground, in a small underground adventure. Or, you can fly above it, securely attached on a zip line. The feeling and the view is fantastic. 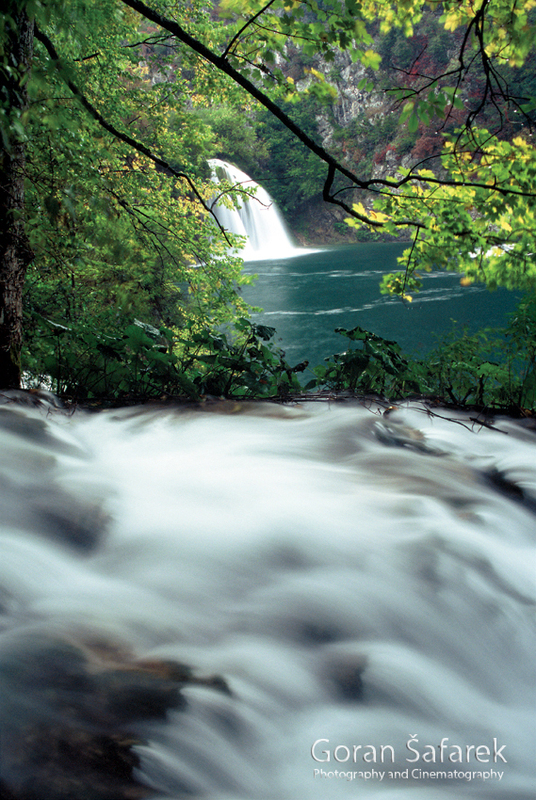 In the spring, don’t miss the beautiful waterfall Zarečki krov, only 10 minutes walk from the town center. Unfortunately, there are no signs, but ask locals. The Kupa river is a border of Croatia and Slovenia. The old magistral road to Rijeke is close to the river at some places. 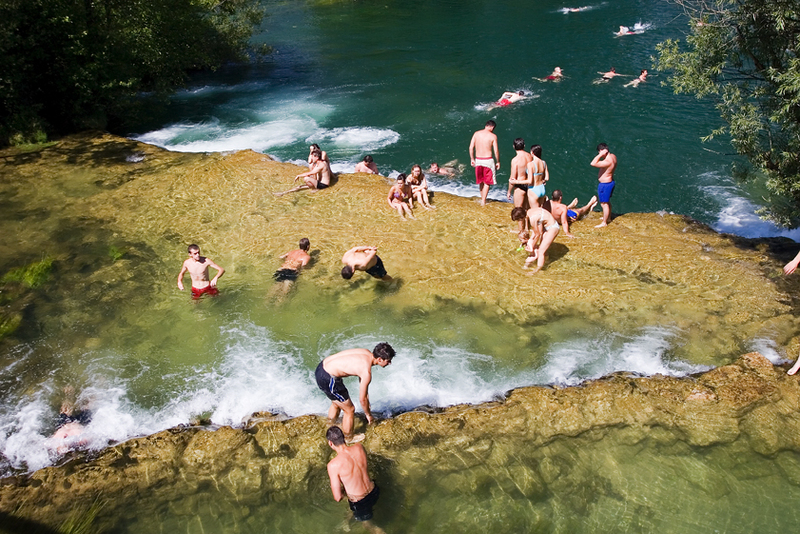 The river in the summer is beautiful for swimming or the rest. There are only several spots where you can approach the river, because it flows in an deep valley. The easiest one is on Brod na Kupi, a small town on the Slovenian border, easily reached by car from Delnice. You can dip in the water on a river beach and refresh on a hot and sultry day. Longer part of the fork goes first through Lika highland, in the shadow of high mountains, especially the Velebit. After crossing the mountains, you are in interior Dalmatia. Two alternative routes cross Lika. 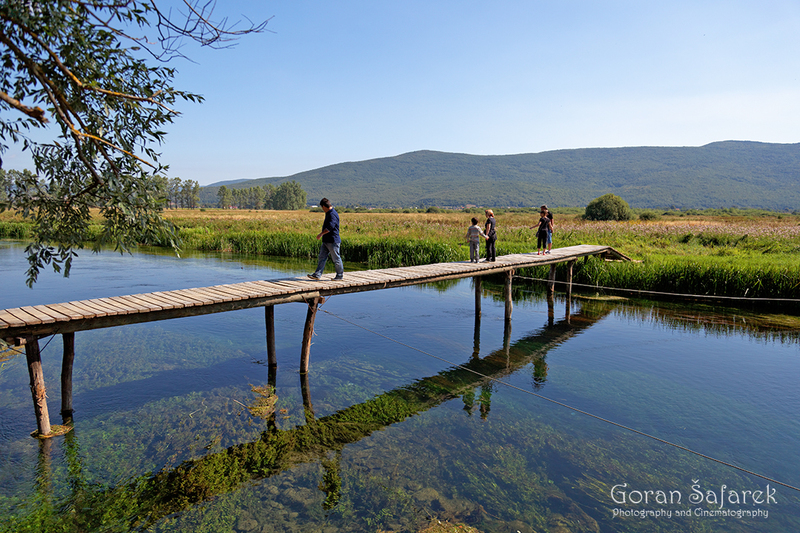 One ise the old road that goes through Plitvice Lakes, the other is a new highway that follows the Velebit Mountain. Rastoke are small village of watermills on the river Korana, just after the confluence with the Slunjčica River. The river actually flows through the village, in rapids and waterfalls. Rastoke are located on the edge of Slunj Town, on the main (old) road to Plitvice. It is a perfect place to stretch your legs for a short walk, combined with a lunch or a drink. If you feel charned and want to explore more, you can stay overnight in one of the adapted watermills. Baške Oštarije is a small village on the Velebit Mountain, on the road from Gospić in Lika to Karlobag on the Adriatic coast. It is a doorway to the mountain wilderness, specifically Dabarski kukovi, a series of serrated ridges and peaks towering from the forest and grasslands. The base is a hostel, and mountain hut, from where you can explore these wonders. Deep inside the mighty Croatian mountain if Velebit, is hidden an extravagant Cerovačke caves, 4 km from Gračac (direction to Split). This part of the Velebit underground is like a sponge, with the caves, passages, vertical shafts and other speleological elements. 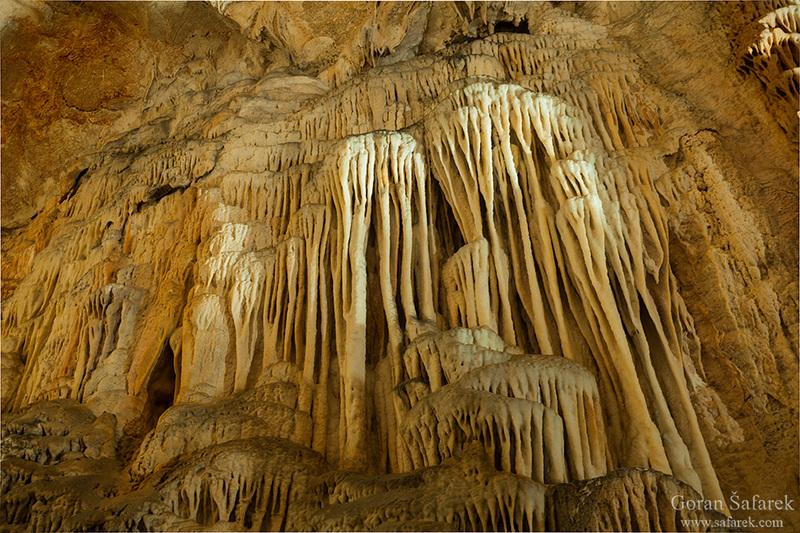 Part of the caves is open to the public, where you can admire the marvel of the nature. Bring your warm clothes and beware of the strong draft. In 2019. Caves are closed for a major refurbishement.